One of Seminole’s highest priorities is to make certain that all its generating resources are operated in an environmentally-responsible manner and in complete compliance with its permits issued by the Florida Department of Environmental Protection (FDEP) and the U.S. Environmental Protection Agency (EPA). For its leadership in environmental stewardship, Seminole received a Sustainable Leadership Award from the Council for Sustainable Florida, and the Seminole Generating Station was named one of the top six coal plants in the world by Power Magazine. 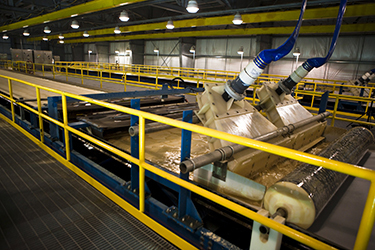 Seminole’s two 650-MW coal-based generating units at the Seminole Generating Station (SGS) are equipped with state-of-the-art environmental control technology. This equipment reduces emissions of sulfur dioxide, nitrogen oxide, mercury, acid gases, and particulate matter, among others – making it one of the cleanest coal-based power plants in the U.S.
At SGS, the byproduct from its sulfur dioxide control systems is converted into synthetic gypsum used to make wallboard. If not converted to synthetic gypsum, the byproducts would have been landfilled. Specifically constructed in 2000 on land adjacent to SGS, Continental Building Products utilizes the synthetic gypsum from SGS for wallboard production. Seminole also recycles 100% of the bottom ash from SGS and sells approximately 40,000 tons per year to make stronger and lighter concrete block. Seminole’s 810-megawatt Midulla Generating Station (MGS) burns clean natural gas, with ultra-low sulfur fuel oil as a back-up fuel. One innovative feature of MGS is its use of a 570-acre cooling pond, which provides water to cool steam used in the electricity generation process. 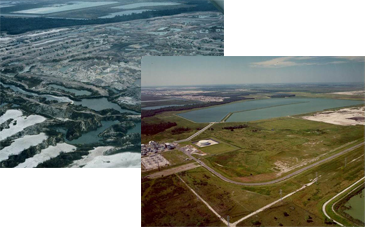 The reservoir was built on reclaimed phosphate mining land and is shared with the adjacent Hardee Power Station, eliminating the need for large cooling towers. The pond provides an environmentally-friendly home for numerous species of fish, reptiles, and aquatic fowl.